Professional Video Editing Secrets: How Do They Do It? Do you want to improve your SEO positioning on Youtube? We show you the main factors that are taken into account to position a video on this platform. The video content have become key elements in any strategy of online marketing and communication. The demand for this type of content has grown steadily in recent years. It is the third most visited website in the world. More than one billion unique users visit YouTube each month. Every minute 400 hours of video are uploaded to YouTube. 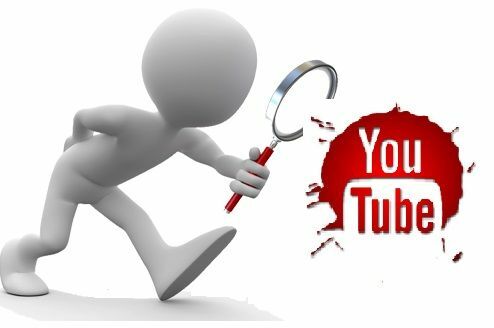 That is why to achieve that our videos are displayed in the top positions of the Youtube search engine results to a particular keyword; we can generate a high volume of traffic to our channel and a large number of visualizations of our content. In addition, the best positioned videos are also shown in the results of Google, both on its home page and the videos tab. Google owns Youtube and 70% of its search results show a Youtube video. It is very interesting to analyze the videos that are best positioned for the keywords that interest us. We must pay attention to elements such as title, description and category. It is also very interesting to see which keywords are used in the field labels or tags. This information is not shown to the user to visit the video, can only be seen from the edition. It is one of the most important factors. It must be eye-catching and attractive, describe in a few words the video content and must include the main keyword by which we want to position. The keyword it is desirable to appear at the beginning of the title, far to the left as possible. In this section we need to explain in the most detailed way of our video subject, always including the keywords. The first 2 lines are especially important, as these appear in the snippet on Google results. Furthermore, it is appropriate to include in this field the address of our website, because the link may be pressed. Within the basic information of our video, besides the title and description, we can provide tags, which are keywords for which we want our video to be identified. So it is very important to analyze the tags that we are using in our videos. We must select the category that best suits the content of our video. We recommend analyze the category of videos that are best positioned for a particular keyword. While it can be somewhat more laborious, transcribing our video and create subtitles will help us to better position. YouTube may better understand the contents of the same and in addition this content can be indexed by the Google search engine, so it is interesting to add subtitles manually. The image we select as our video thumbnail affect the CTR of it. If we emphasize on the rest of videos, ours will receive more clicks and improve its positioning. The more comments and “Like” our video receives, the more likely we appear in the top positions for a video search. To improve this data we suggest embed the video on our website, as this form will have a major diffusion. We must take care of our channel configuration at both image and content. We therefore recommend choosing a good name, fill in the description, upload a header image, etc. It is also very positive link in Youtube channel with Google+. The number of subscribers to our channel is another factor that is taken into account for our videos reach better positions. It is advisable to get external links to our video, either through direct links from other Web sites or having embedded videos in portals. Although it may seem obvious, Youtube takes into account the number of video views when positioning them. And as with the number of views, Youtube also takes into account this metric, which indicates the percentage of users who see our video completely and how many stop to seeing it before it is finishes.